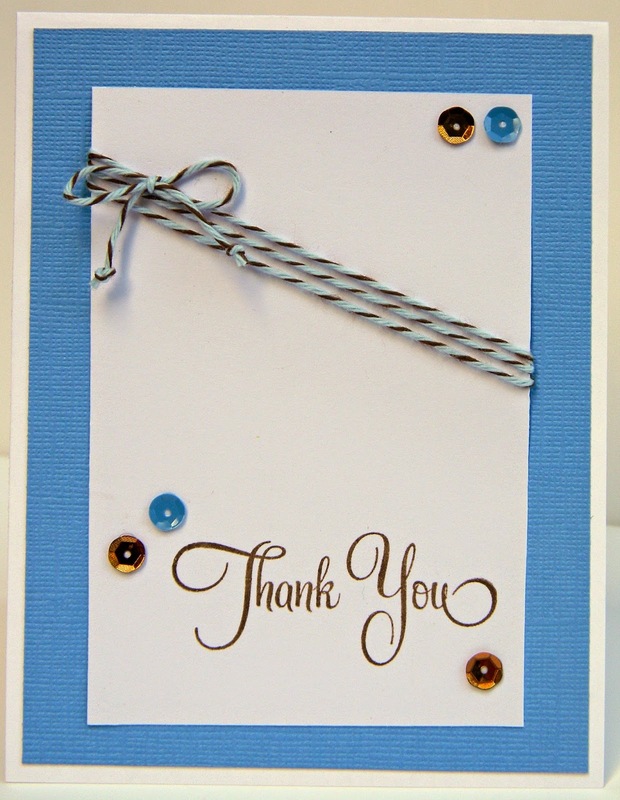 These cards would work for quick baby thank you cards (maybe not with the twine on an angle) or for just about anyone. I got this cute Happy Pumpkin from Pretty Paper, Pretty Ribbons. I was about to put it in my cart when I decided to click on the Friday Freebie section and it was there! I also picked up a cute light bulb that I hope to make a card with this week. The pumpkin has some teeth too, which I did cut out, but I decided I liked her better without them. My Cricut Explore machine cut out her eyelashes perfectly! I also added some faux stitching to the hat before gluing it all together. 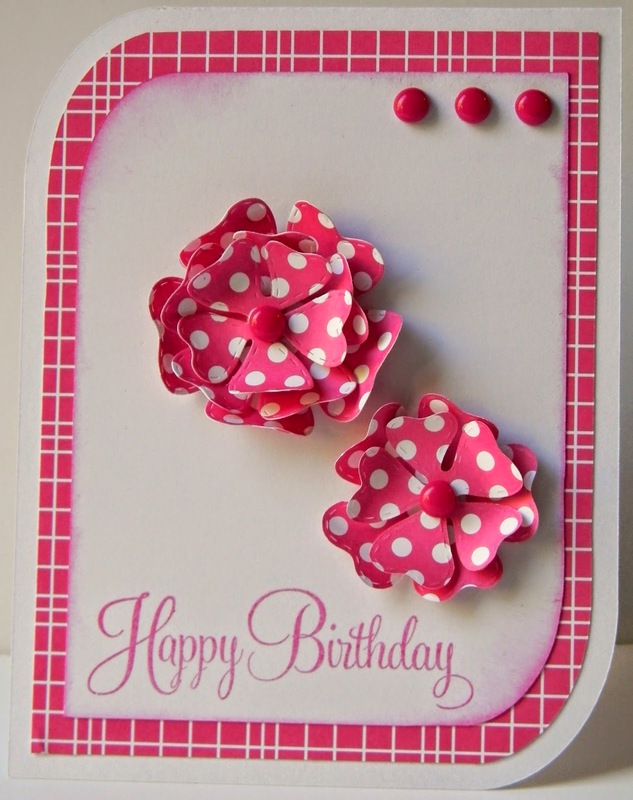 My Spooktacular Taffy Trendy Twine was a perfect addition for this card. 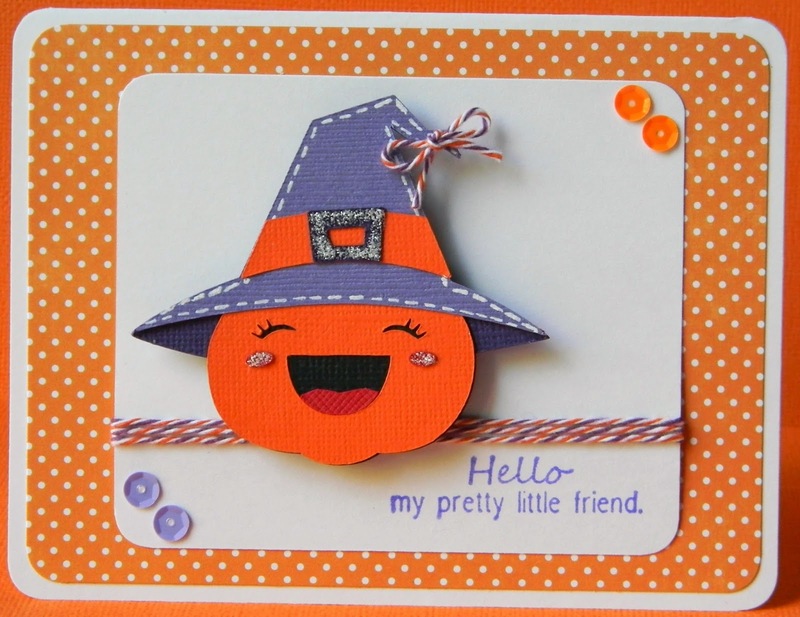 You should check out all the fun Halloween Twines over at Annie's Paper Boutique and get what you need for the holiday. I finished off the card with some Doodlebug sequins in orange and purple and some Frosted Lace Stickles. Hi everyone! We had a Trendy Twine Halloweenie Facebook Hop last weekend and this was my project. 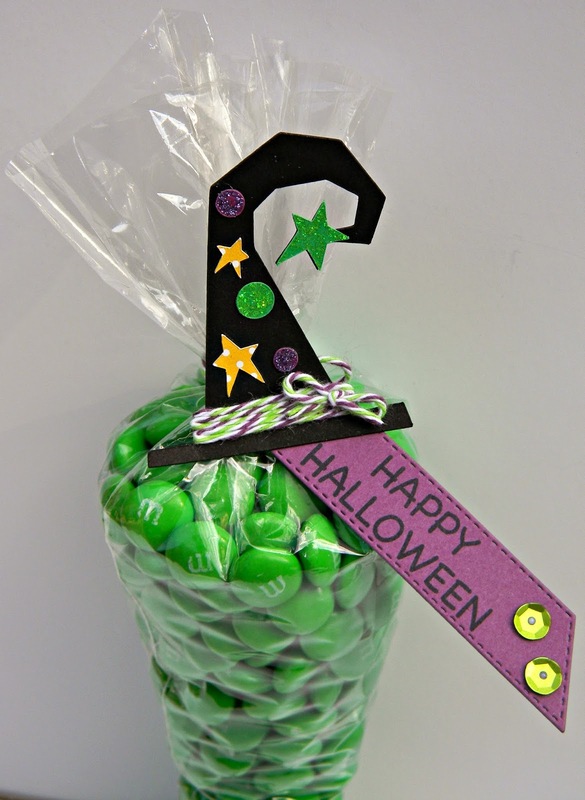 I used the Lime Grapesicle Trendy Twine along with these fun cone bags which are in the store. The hat came from the Cricut Mini Monsters Cartridge and the tag is a My Creative Time die. I used stickles on the stars and circles on the hat and finished it off with the Trendy Twine glued to the brim. Thanks for stopping by and be sure to check out Annie's Paper Boutique to get all your goodies in time for Halloween treats! Hi everyone! It's my turn over at Twine It Up! with Trendy Twine today. 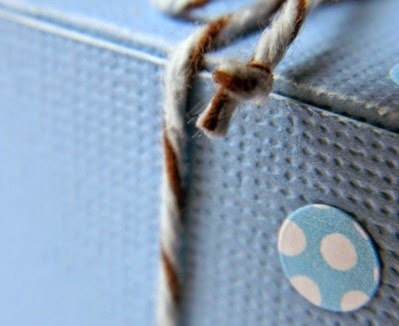 I have some cute little baby boxes over there, but just a sneak peek for you here. Please head over to the Trendy Blog to see the whole project, several pictures and all the details! Make sure to check back and see all the fun projects this month. 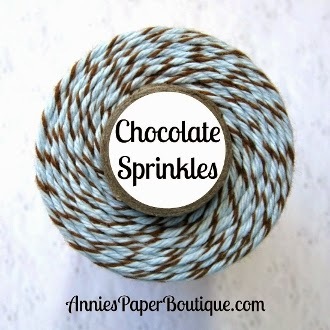 Some of us are showcasing Chocolate Sprinkles and others are showcasing the Chocolate Cupcake Trendy Twine, a pink/brown twist. We hope you will join us on Facebook at the Twine It Up! with Trendy Twine Facebook page and share your own Trendy Twine projects!